Sound design is 60% of any film’s construction. In many ways good sound design is more important than good picture. You might be forgiven for shaky camera work, bad lighting etc but if your audience cannot hear your film you’re in big trouble. Check out these tutorials, insights and resources on creating great sound design. Just for fun I’ve kicked off this post with a recent animation that I created the sound design for so I hope you enjoy it! Animation by my bro over on animationseven and helping to promote The Pioneers. In this almost 2 hour lecture sound designer Brian Smith walks through using Pro Tools to add sound design to a simple single shot which makes for a fantastic beginners guide to both the technical and creative aspects of the craft. In this fantastic step by step tutorial editor Evan Schiff shows you, in great detail, how he and the Bad Robot team used Avid Media Composer’s 5.1 surround sound mixing capabilities to create “the most complex temp soundtrack ever contained within 16 mono tracks.” for Star Trek Into Darkness. If you’re cutting on Avid it’s well worth a read. If you’re editing in FCPX Dan Allan shows your how to work with Surround sound mixes in this previous post. If you could share three sound designing tips what would they be? (1) Don’t fall so in love with your gadgets that you overuse them. (2) Learn to listen to your director at least as attentively as you listen to sound effects. (3) Simplify. Always simplify. 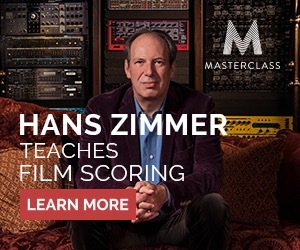 If you want to learn more about the art and craft of sound design you can’t do much better than learning from Randy Thom, a legendary sound designer with over 100 credits to his name. You can see him in action in the Flight video below. Studentfilmmaker.com has a solid interview with Randy here and Leftlion.co.uk also has a short interview with him here. The most important thing you do is make artistic decisions; you need to figure out whether a sound is appropriate in a given scene and that’s really what I’m hired to do, I’m not hired to operate the equipment. Matt Hurwitz has a great article on the sound design work for TV show Revolution, with plenty of great insights from the team at Atomic Sound Post Production Services, who worked on the show. The main challenge in the post apocalyptic show was stripping out most of the sounds of the modern world. Previous Posts on Sound Design Not To Be Missed! For some great behind the scenes insights into the sound design on films such as Star Wars, Looper and Flight check out this previous post. It’s also worth checking out the making of films on Gareth Edwards highly impressive indie feature Monsters, over on the DVD Extras For Film Editors post. The film relies heavily on spooky noises in the woods type effects to convince you of the titular Monster’s presence, as well as adding heavily to the production value of the film. Film trailers are also a great place to learn about highly effective sound design, which this previous post has plenty of detail on. Lastly you should definitely check out this post on sound designer Vickie Sampson who shares tip and tricks to make your sound editor/designer love you. You can also download a few freebies!